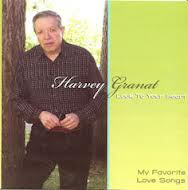 Wasn't Harvey Granat terrific? Given the sold out audience and enthusiastic response, we'll be planning a series of Cabaret evenings at Beattie, including the next installment of Harvey's interpretaton of The Great American Songbook (for more info, click here). We only wish we had photos of the evening, but our photographer was unavailable. Many thanks to Board Members Brad Rappleyea, Alyson Milbourn and Todd Whitley, who donned aprons for the evening and kept things running smoothly. See you on Oct. 6th for our annual Potluck Luncheon!